The Imperial Fists 5th Company has a long association with the Antona Australis sector. As Master of the Marches, the captain of the 5th Company is duty bound to oversee the outlying territories and holding of the chapter. 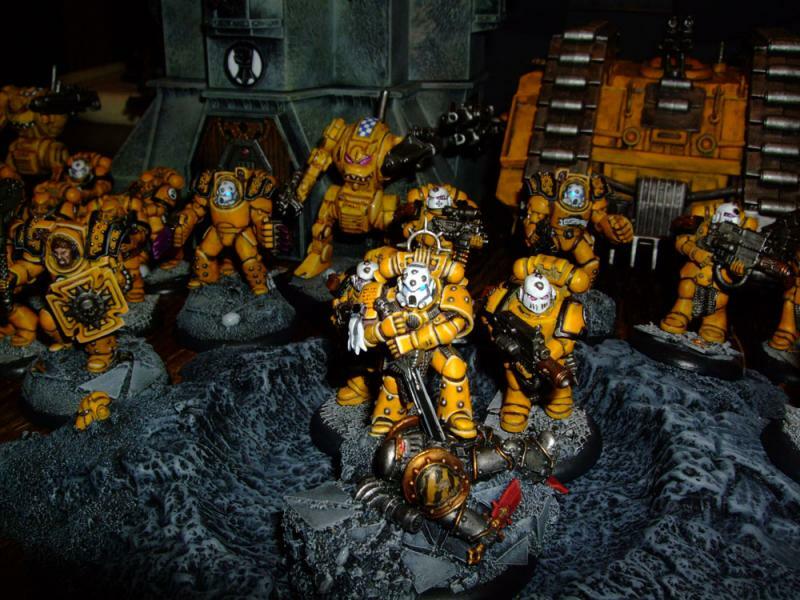 The Imperial Fists are a fleet based chapter and although Holy Terra is officially designated as their home world they actually recruit from planets across the galaxy via an extensive network of fortified chapels. There are two of these chapels in the Antona Australis sector; one is famously located in the Grovesnor system, the location of the other is classified.